Will Assad Win Regardless of What the U.S. Does in Syria? If it does act, the U.S. is not explicitly aiming for regime change. If it doesn't, Assad will still be able to boast. It's a win-win for the dictator. It’s a catch-22 no president wants to be caught up in. If President Obama doesn’t launch a limited military strike against Syria for using chemical weapons against its people, President Bashar al-Assad will be able to claim victory over the United States. 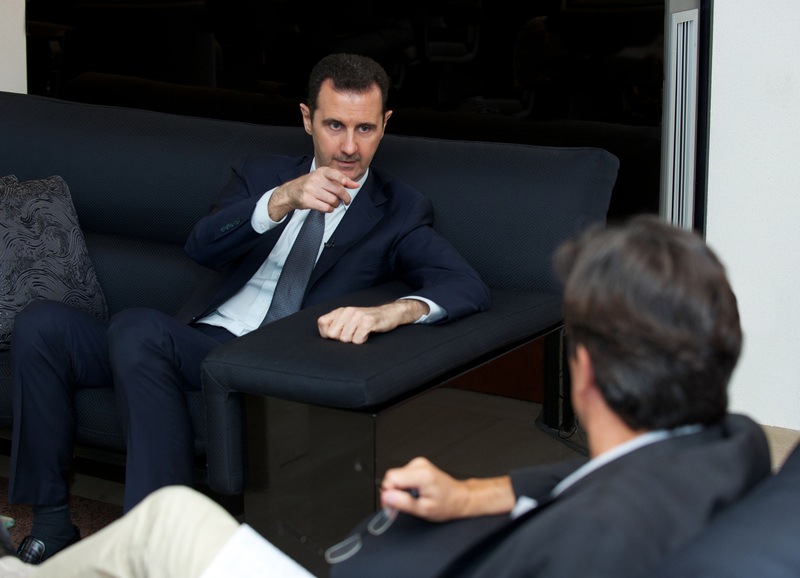 If he does order a strike against Assad, the U.S. has made clear that it won’t remove Assad from power -- another reason for the Syrian dictator to boast that he stood up to the powerful United States. Either way, it seems, Assad wins. Obama has made it clear from the start that any military action against Syria for the Aug. 21 chemical weapons attack would not be aimed at removing Assad from power. That is a task for the Syrian people alone. The president’s argument for launching missiles at strategic targets inside Syria is simply to “deter and degrade” Assad’s ability to wage another chemical attack. “I think it's maybe even more insidious than that, he’s reached a point where he now thinks of chemical weapons as just another weapon in his arsenal and that’s the part of it that makes this so very dangerous,” Dempsey said. Still, the Obama administration believes that doing nothing would be worse -- and that eventually Assad will get the message. “I think Gen. Dempsey has made it clear and I think we believe deeply, as do others who are knowledgeable about this in the region, that there is no way that [a U.S-led strike] will in fact be beneficial for [Assad], that it will not translate on the ground, that the defections that are taking place now and other things that will happen will further degrade his capacity to prosecute them going forward," Kerry said. But Kerry’s controversial answer to whether he could guarantee that any resolution to allow the use of military force against Syria would not include American boots on the ground – “I don’t want to take off the table an option that might or might not be available” – shows just how unpredictable Assad can be. “Let me put it bluntly, if Assad is arrogant enough, and I would say foolish enough, to retaliate to the consequences of his own criminal activity, the United States and our allies have ample ways to make him regret that decision,” Kerry said.